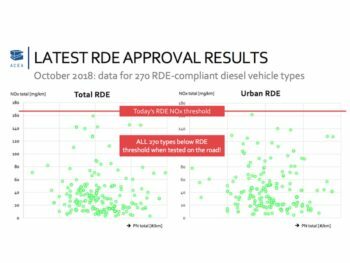 Latest-generation diesel cars are emitting less NOx than current and future emissions thresholds and can play a key role for cities looking to meet air compliance targets, backed by fleet renewal policies. That’s according to the European Automobile Manufacturers’ Association (ACEA), backed by data on 270 new types of diesel cars. The vehicles were type-approved against the latest Euro-6d-Temp standard, which kicked in for type approvals in September 2017 and becomes mandatory for new cars from September 2019. 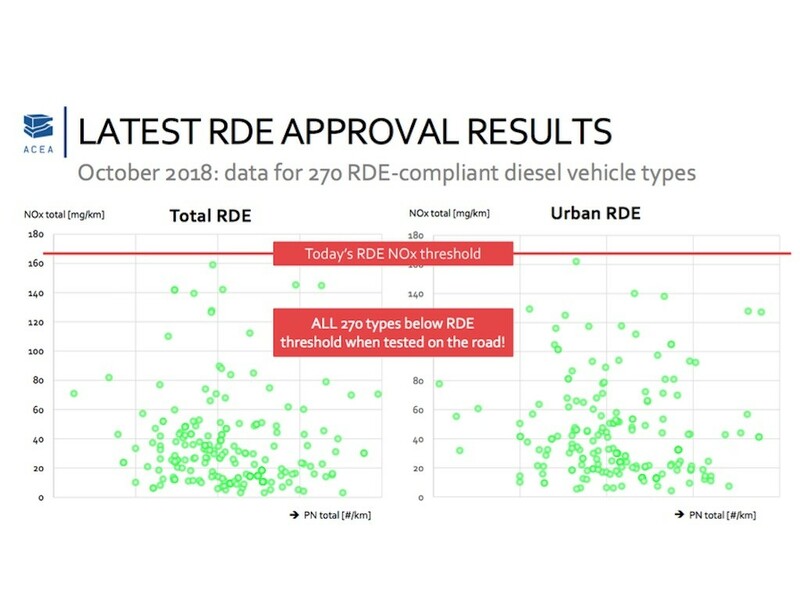 The ACEA tests found that all the Euro 6d-Temp type-approved cars performed well below the NOx threshold of the real driving emissions (RDE) test, which applies to all new car types since September 2017, while most of these vehicles show results that are below the stricter NOx threshold that will be mandatory from January 2020.